Visiting Paris is special. There are so many classic tourist spots to visit and of course all of the great art museums. One extraordinary place I came upon in July, 2001 was a station on the RER line. I had never seen a public space so filthy. 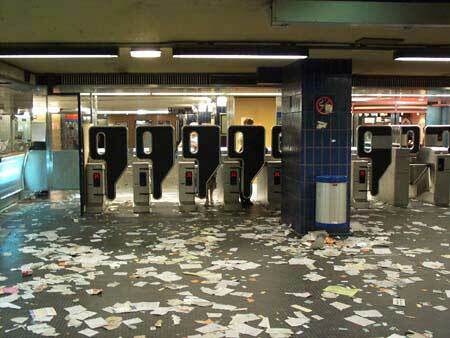 A month-long strike had left all of the stations uncleaned; the waste that people left accumulated.